James Vella Clark is currently exhibiting a collection of paintings painted over the past 10 years, including some latest works that portray a retrospective account of his exploration and gradual move towards abstraction. Convergence is where all the ideas and layers of experience come together to form something new and unique. Convergence is where past experiences come together to give the abstract form and meaning. 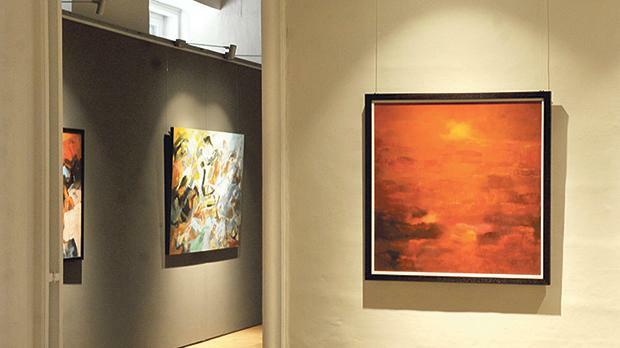 Vella Clark is one of Malta’s best-known expressionist interpreters of the Maltese urban and rural landscape, whose works have become increasingly abstract over the development of his career. James’ Vella Clark’s Convergence is being held at Palazzo De La Salle, Valletta until February 28. It is open on weekdays from 8am to 7 pm and on Saturday from 9am to 1pm.